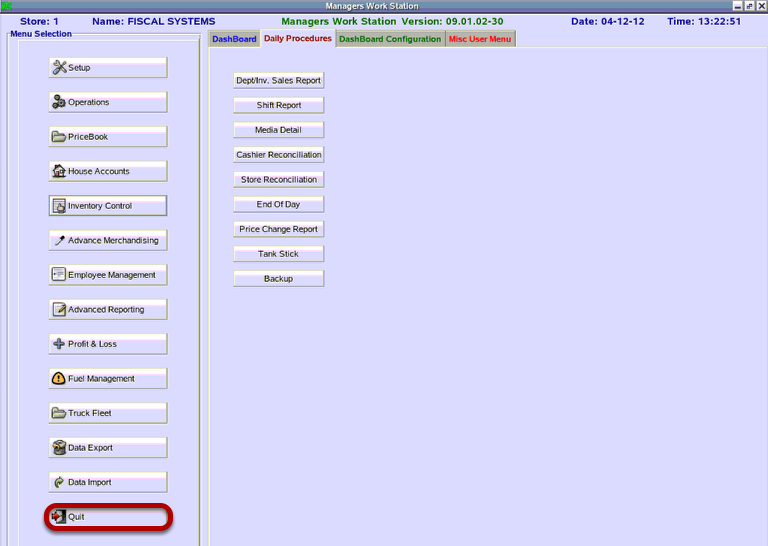 TravStar1 Point Of Sale SystemManager's Work Station MaintenanceHow Do I Restart the Manager's Work Station? 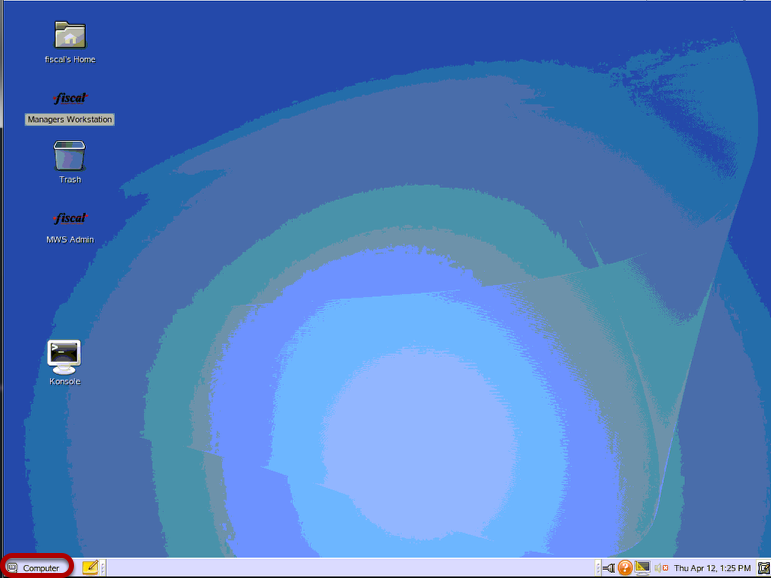 How Do I Restart the Manager's Work Station? This lesson will teach you how to restart your Manger's Work Station. It is recommended that you restart your Manager's Work Station once a week. From the main menu, click on the "Quit" button. 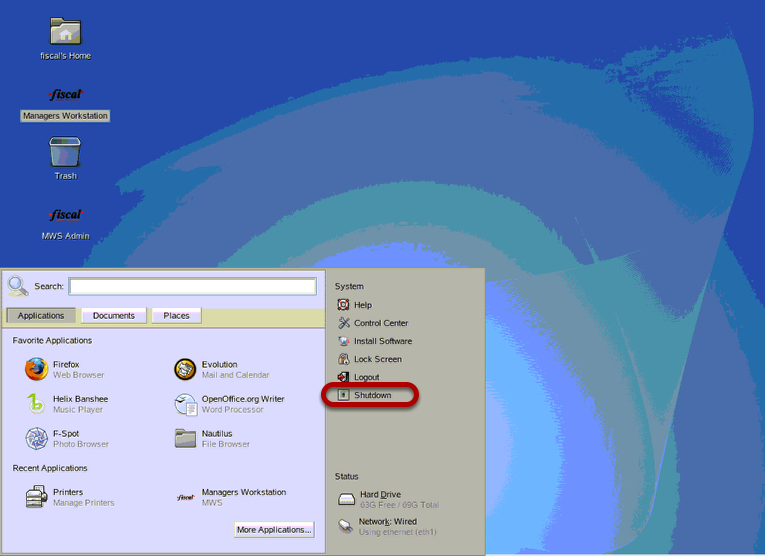 Click on the "Computer" button in the lower left corner. Click on the "Shutdown" button. 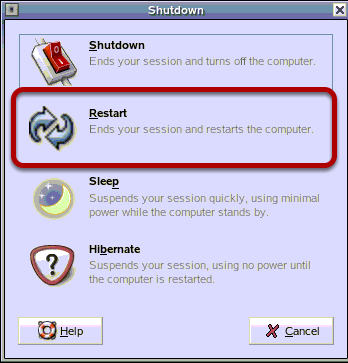 Click on the "Restart" button. Prev: How Do I Create a Menu File? Next: How Do I Run End of Month?